July 25th at Reading Cinemas Mandurah 6pm. Come along with your friends and enjoy a glass of bubbles and cheese before the movie, there are raffles to enter and door prizes to win! All raising funds for a worthwhile local charity - Homestead for Youth. For more information click here: Homestead for youth . RIDE at its heart is a safety course aimed 15-16 year olds to get some basic information into students before they get their L Plates. Parents are requested to come along and sit in on the sessions so they know what is being taught and what they can do to help when teaching their children to drive in these early months. It is held at the Kwinana Motorplex usually on a Sunday morning from 9-12. The morning is broken up into three rotating groups. Scattered amongst this is visits from race car drivers/ truck drivers/ police officers/ road trauma victims all who give some insight into the challenges on todays roads and overall it’s a really relaxed and stress free environment where a great message is being delivered. 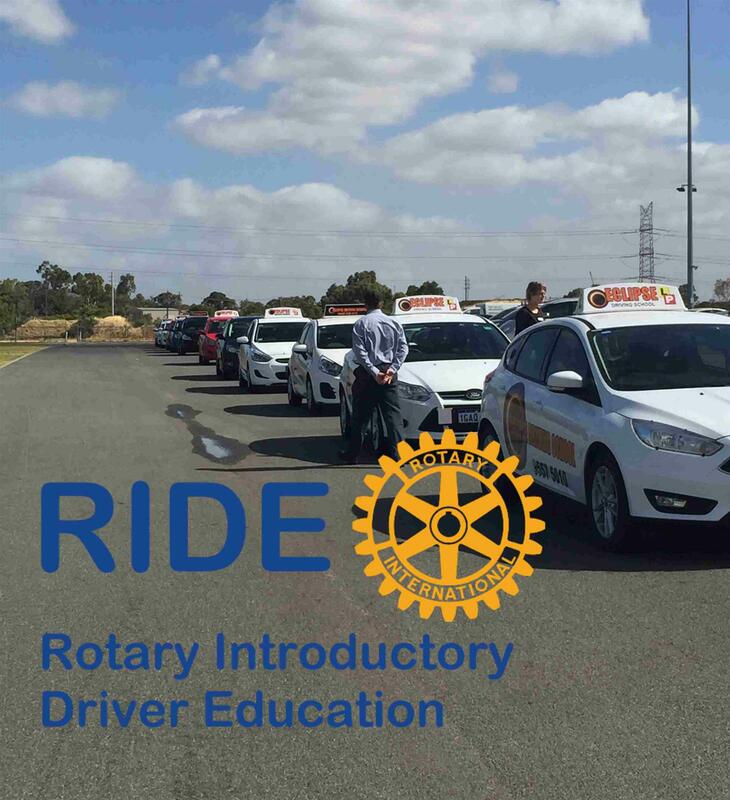 All people involved are volunteers including all of Eclipse Driving School Instructors who attend and all Mandurah City Rotarians also give up their time. Attendees are asked to pay $10 only which goes toward covering the Motorplex hire.